The other day, my daughter’s feelings were hurt, but it didn’t have as much to do with the content as how the news was presented. See, the person tried to spare her feelings, which led to a misinterpretation that, when cleared up, hurt worse than the original news would have if delivered in a straightforward manner. This led me to think about other such encounters. Times when I give papers back to students with platitudes of “nice try,” “good idea but not quite there,” and other such niceties when what I really should be saying is “I’m sorry, but you didn’t get this right this time around, but, hey, it is an academic setting so let’s figure out how you can learn this better and you can try again.” Times when someone has given a friend a gift of something my friend doesn’t really care for, but being the socially respectful person she is, she gushes over the gift only to have the giver take time and money to purchase the gift over and over again for this friend because social graces prevented her from saying, “thank you so much for the thought but next time I’d just like to grab a cup of coffee with you and catch up instead.” Or managers who complain that their employees never improve after feedback, but the feedback was so diluted to prevent hurting anyone’s feelings that in all likelihood the employee had no idea that they even had something to work on. And the examples go on. I started to recall some of the conversations that I have had with my son in recent months. If he receives a gift he already he has, he says, “thanks but I already got this.” Or, he is rather famous for saying “why does everyone get me Mario stuff?” It isn’t a criticism, but a simple statement of fact. He loves Mario, and he finds it interesting that everyone else knows that too. As for repeated gifts, well it may initially stin,g but I’ve found that I’d rather return something he already has than to have spent the money on a gift he isn’t going to play with. Same thing goes when I fix something new for dinner. My husband and daughter are usually polite with their responses unless I have really concocted a total and complete disaster (what can I say; my cooking ideas far exceed my cooking skills), and when left with positive feedback I’m likely to add the recipe to my collection. Whereas Caden simply tells me “don’t like it” and again while there is that momentary sting, I also know not to waste my time making the recipe again because it wasn’t a hit. One last example, I recently cut my hair. I’ve never really had short hair so this was a big change for me. Every single one of my students and colleagues commented on how cute it was or how much they liked it or how bold it was that I cut my hair. Caden’s the only one who said “actually mommy I like your long hair.” I know he was just being honest; I don’t know if the others were or if they were just saying the socially polite/expected thing to say. I mean at the end of the day how many parents can really say that their kid doesn’t lie and while communication may be challenged, I always know that the answer that I receive from Caden is the whole truth and nothing but the truth. As a mom to a special needs child, I hear a lot of things that I wish I hadn't. People tend to say things that are stupid. I don't mean that to be disrespectful, but it's true. If someone asks me a question about autism, my son's behavior, his future, why he is or isn't doing something or any other aspect of him, I welcome it. As long as it's coming from an honest place and the intention is to actually learn something from my answer. The times it's unacceptable are when it comes from a place of malice or straight ignorance. I have heard some unbelievable things from strangers. I've been asked by a mom at a park if autism is contagious. I've been told my son can't possibly have autism because he's too cute (WHAT?!?) I've been told it must be nice to be able to blame autism for his meltdown in a store. The worst one, in which I had been rendered speechless because I thought this couldn't possibly be happening and I must be in the Twilight Zone, took place at my local Target. My son was 4 at the time and sitting in the basket. We had a box of Pull Ups in the cart. A very well dressed lady and her son were behind us. He asked my son how old he was and my son answered. He then asked me why we still needed Pull Ups. I told him that my son was still learning to go potty. He looked at his mom and said "I'm 3 and I know how to go potty." His mom looked at him and said "I know sweetie, but not all kids are as smart as you." I said "excuse me?!?!" In her most condescending voice she proceeded to tell me that I just needed to put in a little more effort. I started shaking and said "not that it's any of your business, but my son has autism so it's just taking him a little longer." She rolled her eyes at me and said "that's a good excuse to cover up your laziness." My jaw dropped and she grabbed her kid and walked away telling him that my son was stupid and I was lazy and they should go get in another line. As I said before, if I hadn't been in complete shock that it was happening, I might have been explaining to my husband why I had been arrested. Witnessing ignorance being passed on to the next generation right in front of me. Awesome (sarcasm font). I'm willing to bet every autism mom has similar stories of ignorance. We learn to deal with it when out in public from complete strangers. Recently, imagine my surprise when one of the most insulting things I've heard came from a friend of mine. My husband and I took my son to a child psychiatrist to talk about some techniques we could use to handle some anxiety he's been having. The psychiatrist said that she thought my son's future was extremely bright and the fact that he has best friends and is very social at such a young age is amazing. I was telling my friend all about our visit. My friend proceeded to tell me that he has been saying that all along, "I don't think he has autism. I think he just learns things slower." I was immediately taken aback by this statement and told him I found that very insulting. He said he didn't mean for it to be. Since we are very good friends, I'm sure he didn't, yet I still couldn't get him to understand why it was so upsetting to me. I ended the conversation because I didn't want to fight in front of my son. But I couldn't let it go. I have thought about that statement every day since. I have to respond. I want to tell you what I heard when you said those words, "I don't think he has autism." I heard that two psychologists, countless early intervention specialists, OT's, PT's, SLP's, teachers, two BCBA's and his medical doctor are all wrong. I heard that my son losing sounds at 12 months and not having any words until 24 months didn't happen. I heard that all the hard work he has put in starting with early intervention through pre-k to the point where he is now on target for mainstream kindergarten wasn't really done. I heard that intensive ABA therapy over the past year was a waste. I heard that the fact that I waited 4 years to hear 'I love you mommy' shouldn't have made my heart hurt. I heard that having to make a schedule and/or verbally prepare my son for everything that will happen in a day isn't necessary. I heard the anxiety and stress that I feel every time we are out in public while I worry that he will run off and get lost or have a meltdown isn't real. I heard that the friendships I have lost, because I have a special needs child and have to decline invitations constantly, are actually just fine. I heard that my son randomly scripting TV shows or books at any time during the day is totally normal. I heard that all the money we have spent on therapy, orthotics, therapeutic toys, books and conferences should have just been spent on a vacation. I heard that all the nights that I went to bed completely exhausted and unsure of how I even made it through that day weren't real. I heard that all the tears I have cried and the guilt that I feel because there are so many times my son can't effectively communicate what he wants, needs or how he is feeling, is a waste. I heard that the joy I feel when my son accomplishes something that seems easy to others, but is hard for him, is unjustified. I heard that my son doesn't actually have to work at least twice as hard as neurotypical kids his age just to make it through every day. I don't know that this will change your mind. I know you may think I am overreacting. However, let me assure you that the hard days...they are really hard. If you could spend a few days in my world, you would understand. And the good days...trust me when I say they are SO good. I want to share a blog that I found inspiring and think of every single day. Jess over at Diary Of A Mom once talked about a day that was going so well with her daughter, until autism made it's presence known. She writes "The trip to the mall turned out to be exactly what they so often are - a roller coaster ride. It was wonderful until it wasn't. It was fun and carefree until it was overwhelming and impossible to manage. It was sweet and girly and joyful until it was hard and painful and sad." You can read the rest of the post here: A Diary of a Mom blog I think this describes a day in our life perfectly. They are wonderful, until they are not. When my son was having a meltdown recently when I dropped him off at school another mom asked me "what happened ?" I shrugged my shoulders and said "autism." If I tried to describe the seemingly insignificant event that happened which was enough to trigger the meltdown, it might seem odd. Autism seemed like a good answer. The morning was good, until it wasn't. As I said, I think of those words every single day. . I may not always understand why he is upset or what he is thinking, but I know that autism was there. I hope this serves as a reminder that autism is a spectrum. No two kids or adults with autism are alike. They may have similar struggles but those may manifest themselves differently. There are some days that I don't have to think about autism at all because my son is acting 'normal' in society. These days are so very rare. I want people to know that just because his disability isn't necessarily obvious, doesn't mean it isn't there. What it means is all the early intervention, therapy, and education has given him tools to get through the day despite his weaknesses. Just know that every day is a struggle for him and he tries SO hard. Therefore, if you don't understand, ask questions. Autism parents love to educate others. But whatever you do, don't tell an autism parent their child doesn't have autism. Tracy is currently a stay at home mom to her 5 year old son. He is happy, sweet, funny and teaching the world about autism. Tracy volunteers in a special education classroom and enjoys being outdoors, reading and spending time with her family. She is determined to make the world a better place for her son and all those living with autism. You can follow her under her handle @calormom on Twitter. She dreams of having a blog of her own one day but for now just writes guests post when she has something to say. Acid Reflux, Asthma, Common Variable Immune Deficiency, Eczema, Food Allergies, Postural Orthostatic Tachycardia Syndrome, and so on. Guess which of the above mentioned conditions caused me to shed tears first? Ding, ding, the prize goes to those of you who said food allergies (don’t worry I’ve shed tears over the others, but some have taken me longer to fully comprehend). Ry’s first food allergy diagnosis was to milk protein, which sounded simple enough; we just needed to avoid dairy and any of the tricky sounding names that mean dairy on food packages. I had dropped her off at preschool with the intention of doing some grocery shopping and cooking with our new lifestyle in mind that evening after I picked her up. I literally got to aisle 3 before I started sobbing. I don’t mean a dainty feminine little sniffle, I mean the full blown sobs, runny nose, blood red eyes kind of cry. Every single item I picked up seemed to have dairy or casein or some dairy byproduct in it, and I started to wonder what a vegetarian (remind me to tell you about the third grade field trip one of these days if you want the backstory on that decision) could cook and get a 4 year old to actually eat. I picked Ry up from school that day and she wanted Chinese for dinner so we drove to the Chinese Buffet a block or so from our condo. I learned 2 things during that meal that sustained us for the days or weeks or months to come: the Chinese Buffet was pretty reasonably priced for the 2 of us, and it is super easy to avoid dairy in Chinese food. So that was our strategy until I could find my cooking feet. Thanks to the suggestion of a colleague, we discovered soy and soy products and were back in the game again. We learned pretty quickly that Caden was allergic to dairy-based formulas so we suavely switched him to a soy formula only to learn that he didn’t tolerate soy either. He ended up on a pre-digested hypoallergenic infant formula (yummy, huh?) and I was left once again thinking what in the heck are we going to eat? But hey, there are plenty of fruits and veggies out there in the world to try so we’d be adventuresome and what a cool diet I imagined that we’d have. Then we introduced to Caden to his first baby food, and discovered very violently and rudely that he has an anaphylactic reaction (extreme life threatening allergy) to…………carrots. This quickly ruled out many other root vegetables and cross pollenated foods like celery and kiwi. Now before you say it, yes I know carrots are supposed to be a hypoallergenic food---I’ve heard that a time or two. But I can also tell you without a doubt that we immediately know if any amount of carrot or beta carotene has found its way into the food by the reaction that Caden starts to have. Carrots are a trick one though because they are cheap and plentiful and apparently make a great natural food coloring and bulk substance in everything from banana cakes to soups to sauces to crackers. Don’t worry it gets better. Thanks to my own IBS we have had to move to a gluten free diet and for my husband’s health we watch carbs. Caden is on a low sodium diet while Ryley is on an extremely high sodium diet. And to add insult to injury Caden’s fruit intake has to be restricted because he doesn’t produce enough of the enzyme that breaks fruit sugars down. And then there’s the feeding aversion that we have battled compliments of Caden’s sensory processing disorder that further limits texture, temperature, and color. Seriously, it seems overwhelming when you listen to it and honestly as I type it all out, I’m starting to sweat a little, but you adapt. That initial food allergy broke me down because I didn’t know how to adapt yet. Each new food allergy certainly sends us back to the drawing board and we all read package labels with the best of them. We try to avoid eating out whenever possible and we get the amazing opportunity to try grains and products that we probably wouldn’t have otherwise. Heck I thought chia seeds were just for growing my cute animal shaped plant during the holidays; who knew they were tasty and healthy? Same goes for sunflower butter and a whole host of other foods. Don’t get me wrong, it isn’t always easy but it does make me giggle a little when someone asks if there are any food allergies. 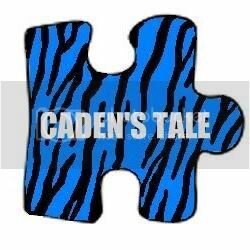 Uh yea, let me tell you a little about Caden’s tale.